One of the many services offered by the Snohomish Conservation District, specifically for horse owners, is manure spreading. Michael Hipp, our Resource Planner, runs this program and has many insights into why this service is important for Sound Horsekeeping. The goal of spreading manure is to keep a clean stable for your horses and also take advantage of the nutrients found in manure. As you sweep up the area where your horse meanders, you can set the manure aside for moving around your property as convenient. It also helps to mitigate the land use and helps horses maintain a sense of safety and security. No one wants to stand in their manure very long. 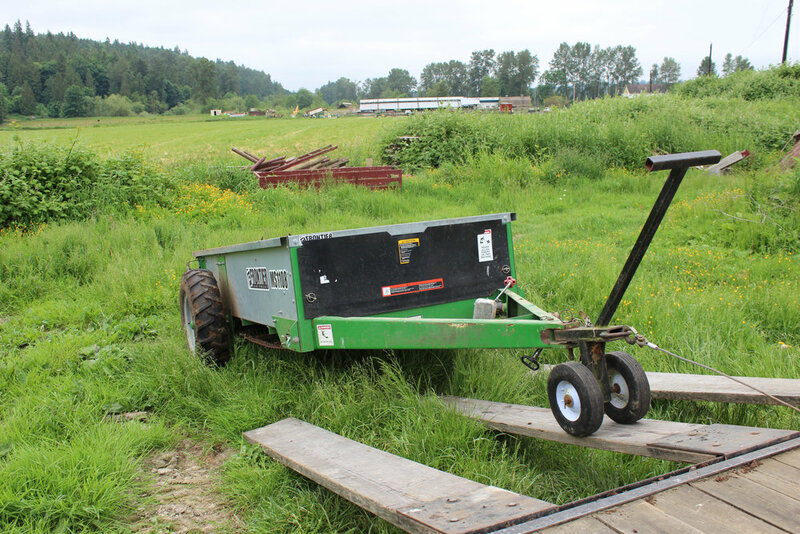 The Snohomish Conservation District has two manure spreaders, one large (photos below are of the large one) and one small. They are available on a seasonal basis from approximately April to October, after the rains have ended. (We'll see!) 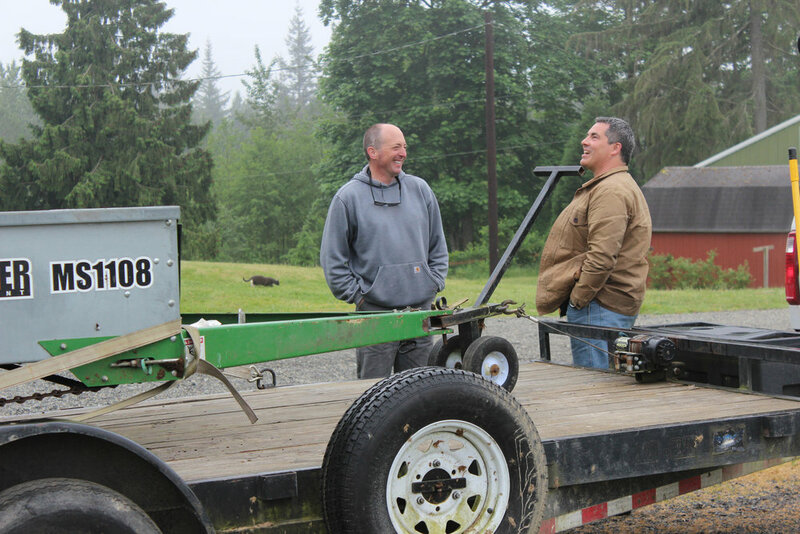 Each time the spreader goes out, Michael delivers it to the horse owner and explains how it is used. The time allowed is three days so pick up and drop off days are Tuesdays and Fridays. For example, you might receive the spreader on Tuesday morning and Michael will pick it up on Friday morning so he can deliver it to someone else. Keep your horses upright and happy by scheduling to use one of our spreaders today. 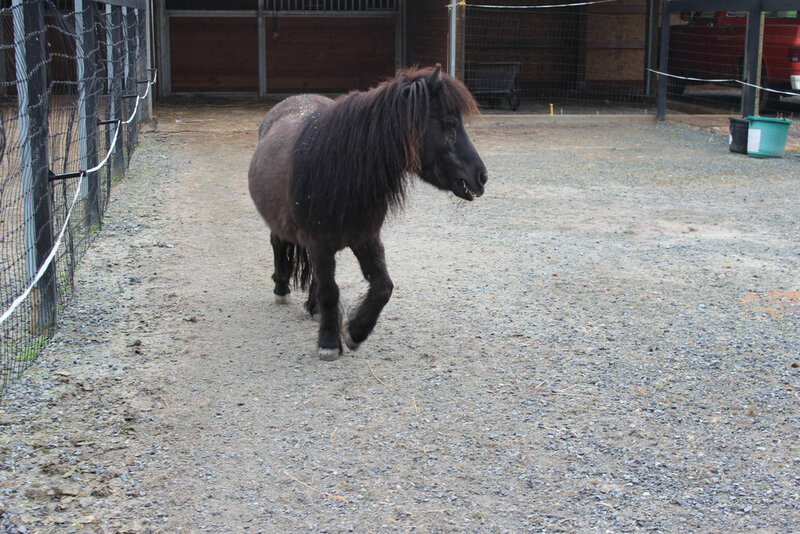 As Michael said, "It's one of the most beneficial services we have for horse owners. It's a great benefit." Contact Michael at 425-377-7019 or mhipp(at)snohomishcd.org to schedule your spreader today. Read more here about when it is best to spread manure. Farmers, producers, and ag technical advisors gathered together to dig in and learn about soils and nutrients at the May 3rd Discover Soils Field Day. Held in one of Natural Milk Dairy's fields, the group learned about how soil type and structure affect water-holding capacity, how to read soil test results, and what are the ideal conditions for spreading manure.